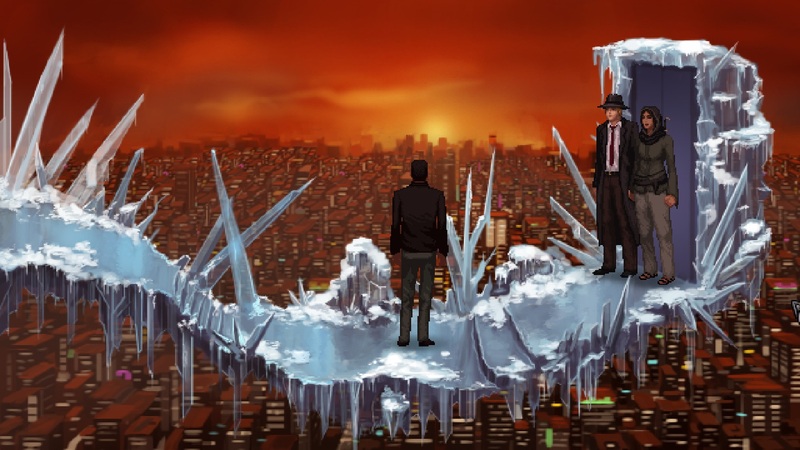 Three years in the making, Wadjet Eye Games’ latest point ‘n click adventure is finally here, and I dare say Unavowed is looking like yet another masterpiece from the creator of the Blackwell saga (remember?). Much like the adventures of Joey and Rose, this too dabbles in the supernatural, its protagonist on the road to redemption after being possessed by a demon. A lot of bad things happened to most of New York during that, but now the time has finally come to make amends. Or… die trying. Note: Yes, this game came out over a month ago, and I did intend to cover its launch, but… sometimes even highly anticipated titles slip through the cracks. So, apologies for taking this long to cover Unavowed. Normally when someone gets possessed by a demon, that’s it. End of the line. Dead not long after, and if not, they’re going to wish they were, once the dust settles. Fortunately for Unavowed‘s story, that’s not the case here, as a secret society is able to somehow help. Maybe. Not quite sure yet, but they are certainly willing to try, this lot, dedicated to fighting evil. And fight they shall, for the city is once more on the verge of being attacked by a great darkness, in this branching point ‘n click adventure. Won’t be easy, but is anything worth doing ever, really? A lot of difficult choices will have to be made along the way, including who to bring along, and before you can even begin the journey… whether to play as a male or female. Yup. Oh, and as the trailer below also makes a note of, magic is real in this world. Very real. Much like its deadly denizens, once thought only to exist in nightmares. Worst part is, you’ll likely have to deal with most of them directly, at one point or other. So buckle up, choose your path wisely, and join the Unavowed today, for what is bound to be a glorious, pixellated adventure, one of groovy music and a tale told through proper great voice acting. Unavowed is available from Humble, Steam and GOG.com, carrying a $14.99 price tag.